A portrait of former President George H.W. 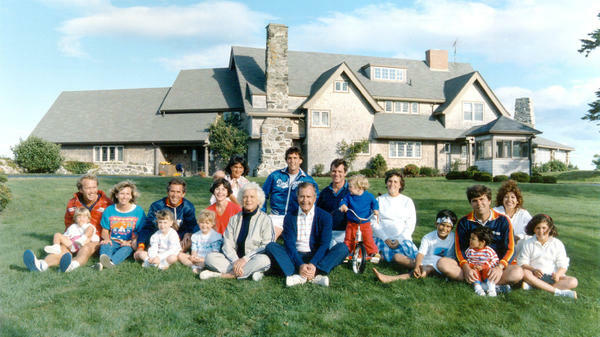 Bush and his family in front of their Kennebunkport, Maine, home in 1986. George W. Bush, Jeb Bush, former President George H.W. 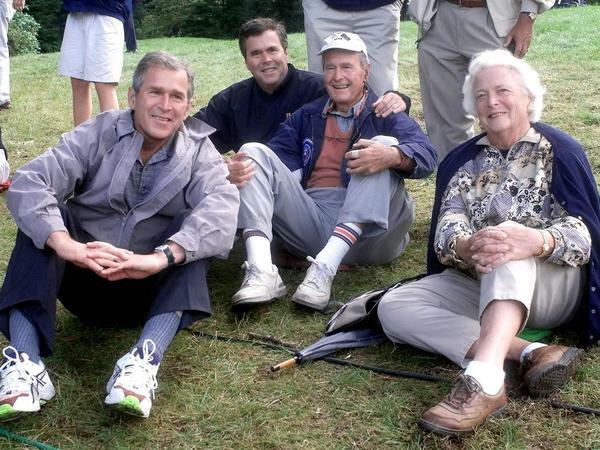 Bush and his wife, Barbara Bush, in September 1999 at the Ryder Cup in Brookline, Mass. 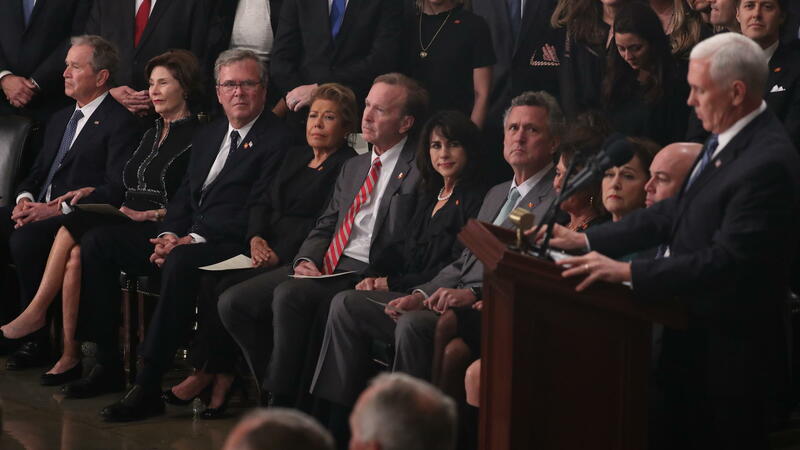 The Bush family listens to Vice President Pence speak during a U.S. Capitol ceremony honoring former President George H.W. 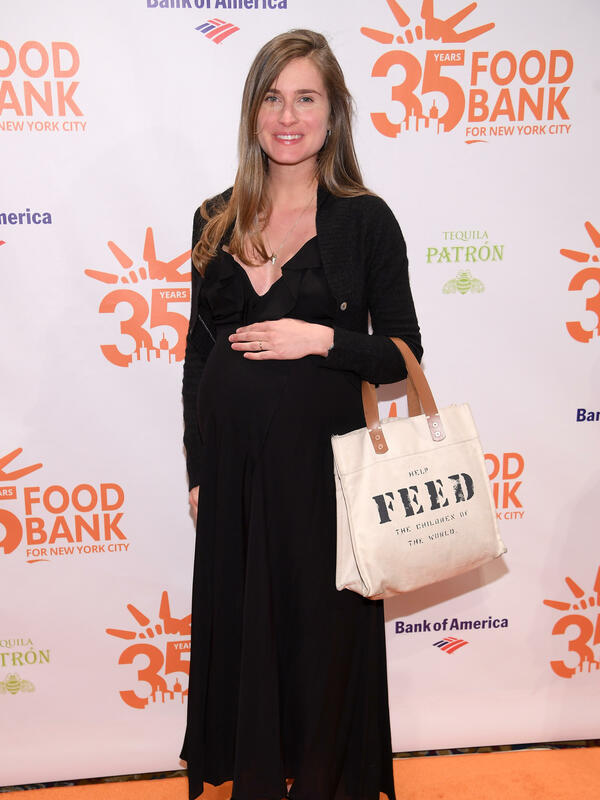 Bush on Monday in Washington, D.C.
Lauren Bush Lauren, the founder of FEED, at the Food Bank for New York City's Can Do Awards Dinner in April. George H.W. Bush's granddaughters Jenna Bush Hager and Barbara Bush speak at the Women in the World Summit in New York City in April 2016. 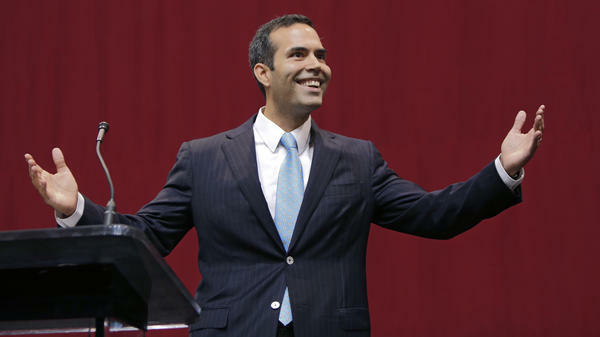 Texas Land Commissioner George P. Bush speaks at a victory party for Gov. Greg Abbott in November 2014. Then-President George W. Bush, then-first lady Laura Bush, former first lady Barbara Bush and former President George H.W. 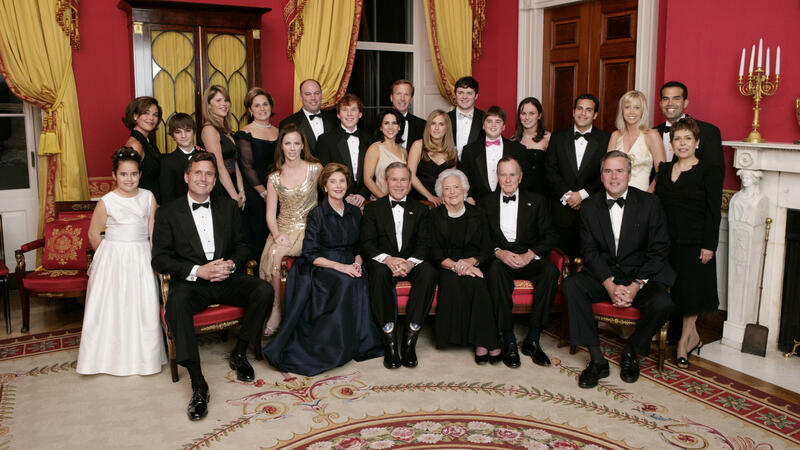 Bush sit surrounded by family in the Red Room of the White House on Jan. 6, 2005, in Washington, D.C. Friends and family joined former President Bush and Barbara Bush in celebrating their 60th wedding anniversary at a dinner. Former President George H.W. Bush is being honored with a state funeral Wednesday at the National Cathedral in Washington, D.C. The service is set to feature multiple members of the Bush family, including a eulogy from former President George W. Bush, the late president's eldest child, and readings from three of the 41st president's granddaughters. Here's a look at the sprawling Bush family. Bush and his wife, Barbara, had six children, five of whom are still alive: George W., Jeb, Neil, Marvin and Dorothy. George W. Bush and Jeb Bush followed in their father's political footsteps. George W. was twice elected governor of Texas before winning the 2000 and 2004 presidential elections. Jeb served two terms as the governor of Florida and unsuccessfully sought the Republican nomination for president in the 2016 election cycle. Neil Bush is a Texas businessman who currently serves as the chairman of Points of Light, the nonprofit organization dedicated to volunteer service that was founded by his father. He also dabbled in politics during the 2016 presidential race: After his brother Jeb dropped out of the GOP primary race, he and his wife, Maria, joined Sen. Ted Cruz's fundraising team. The 41st president's youngest son, Marvin Bush, is a managing partner at a Virginia investment firm, and daughter Dorothy Bush Koch serves on the board of the Barbara Bush Foundation for Family Literacy. Three of Bush's granddaughters are set to deliver readings at the state funeral: Lauren Bush Lauren, Ashley Walker Bush and Jenna Bush Hager. Lauren, 34, is the daughter of Neil Bush. She previously had a career modeling for brands like Abercrombie & Fitch before co-founding the FEED Projects in 2007, a nonprofit focused on feeding children around the world that earned her honors from the World of Children Awards in 2013. She is married to David Lauren, the son of American fashion designer Ralph Lauren. Ashley, 29, is also the daughter of Neil. She works as a film producer and has worked on several short films while co-creating the Web series Route by Route about female entrepreneurs in the U.S.
Jenna is one of two daughters of former President George W. Bush. The 37-year-old is known for her time as a contributor on NBC's Today Show, where this week she shared a love letter to her grandfather, whom she called "Gampy." She also wrote a book based on her experiences working with UNICEF and has contributed writing to Southern Living magazine. The late president has 11 other grandchildren, including George P. Bush, who currently serves as Texas land commissioner; Barbara Pierce Bush, who co-founded the global health nonprofit Global Health Corps; and Jeb Bush Jr., who works at a commercial real estate firm in Miami.